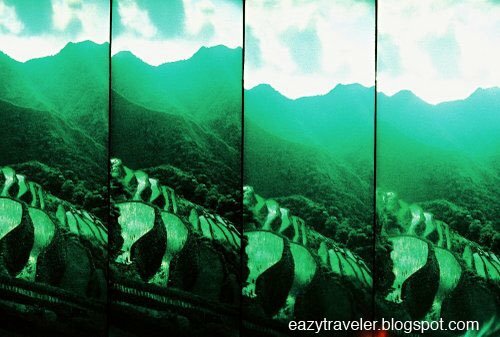 While Jesus walked the Holy Land and the Great Wall rose from the ground, Ifugao highland tribes were making miracles of their own by carving out a vast network of rice terraces with primitive tools, along the unforgiving slopes of the Cordillera mountain range some 1500 meters above sea level. Rice terraces may be common throughout Asia, but no other can compare to the exquisite grandeur of Banaue’s 2,000 year old stairways. If these terraces were placed end to end, they would circle more than halfway around the world. Although the terraced paddies in the municipality of Banaue are distributed among many villages like Batad and Bangaan, the most recognizable and accessible ones (as depicted in the 1000-peso bill) are found at Banaue Viewpoint, three kilometers north of the poblacion along the highway to Bontoc, Mountain Province. There are actually four viewpoints that give you different angles of the magnificent valley, each with its own row of souvenir shops and posse of elderly Ifugaos smilingly willing to pose for the camera in exchange for a small donation. The roadside souvenir shops manufacture and sell a variety of handmade woodwork, textile and basketry, like the iconic bulol (Ifugao rice god) traditionally placed in village huts and granaries. Get a durable one made of kamagong hardwood (a six-inch tall figure costs P150). Ask a local to teach you how to chew moma (betel quid, P5), an addictive combination of areca nut, betel leaf, lime powder and tobacco, believed to strengthen teeth and gums. This popular, red-staining treat induces salivation, causing one to spit frequently. Unfortunately, these endangered UNESCO World Heritage Sites are suffering serious erosion caused by deforestation, neglect by native farmers who abandon their fields in pursuit of higher income in urbanized areas, and destructive pests such as rats and giant earthworms. At the present rate of deterioration, these spectacular landscapes inherited through the ages will reportedly vanish in less than a decade. Well-maintained rice terraces are found in Batad and Bangaan villages, and the outlying towns of Mayoyao, Hapao and Hungduan. Autobus Transport leaves for Banaue (P416, ten hours) everyday at 10PM at their Sampaloc station located at the corner of S.H. Loyola and F. Cayco Sts., across the University of Santo Tomas. Tel. Fax: +632 493 4111 and +632 740 7958 Mobile: +63921 2685526. Purchasing tickets (which are refundable) a week before departure is advisable. 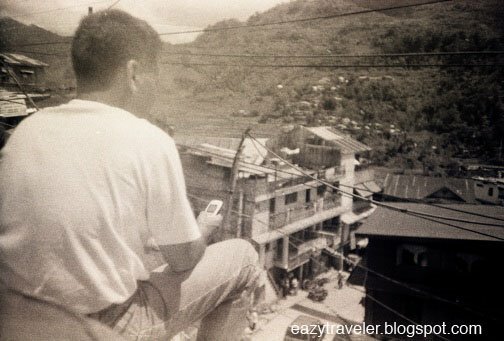 From Banaue town proper, take a tricycle to the viewpoints (P200, good for 2-4). Before heading to the viewpoint, stop by Cafe Diesel (+63929807615) along the main road to the town proper. This small and cozy resto overlooks the terraces (pictured above) surrounding Brgy. 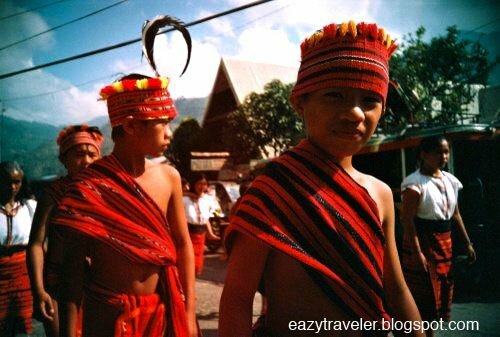 Tam-an, where a popular accommodation, the Banaue Hotel and Youth Hostel can be found. You can get a rudimentary map of the Banaue vicinity from the hotel lobby for P10. Shame on me! I wasn’t there yet! Great vintage feel in your pictures! pang silk air inflight mag gyud ni. amazing! 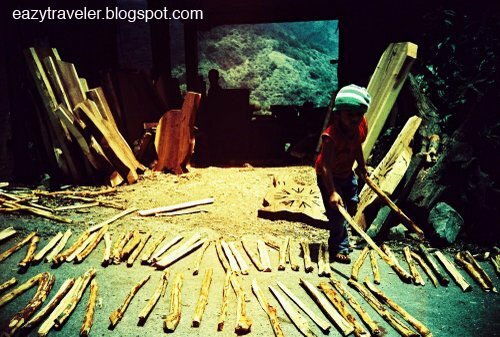 this is the first lomo blog that i’ve visited. i just blog hopped on sidney’s links and i find this blog interesting. adding you as a link. I agree with Sydney! Great shots! @the dong: Welcome to my travelogue. Hope you’d visit often. Cheers!